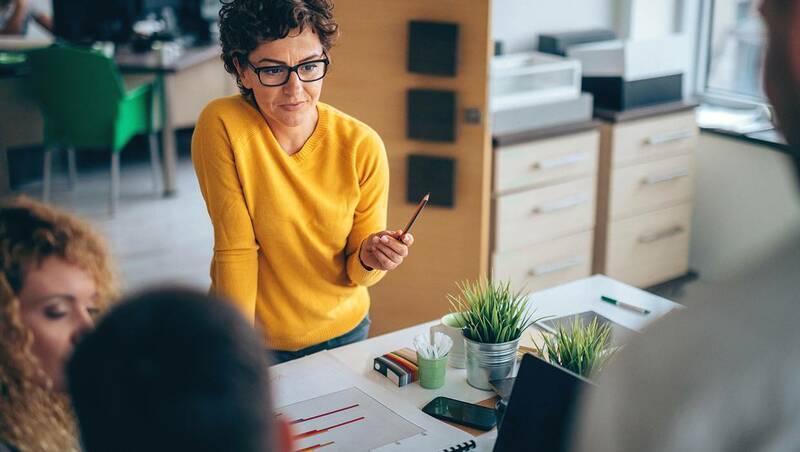 Up to 69% of small business owners in a recent study said they aren’t confident in their ability to retire.1 In the same study, 68% said they’d feel a lot more confident if they were able to save more, but that isn’t always easy. In other words, as a small business owner, if you’ve ever felt unsure about your retirement, you’re not alone. But there’s a lot you can do beyond your company 401(k) plan to give you the ability to save more, like adding an Executive Deferred Compensation plan (or NQDC) to your retirement toolkit. Here’s how these powerful “top hat” plans work, and how you can set one up to stay on track for retirement. • Contribution Limits: As of 2019, participants in a 401(k) plan can only save $19,000 tax-deferred.2 If you happen to be over 50 years of age, you are also allowed an additional $6,000 in “catch up” contributions, which leaves your total possible savings at $25,000 per year—which might not be enough to keep up with your current lifestyle in retirement. • Nondiscrimination Testing: Each year, all 401(k) plans must pass compliance tests to ensure that all employees participating in the plan are receiving a fair benefit. If rank-and-file employees aren’t saving enough as a group, it can reduce the amount higher paid employees (like owners) are allowed to save. So if, for example, you saved up to your $19,000 limit but your other employees saved much less, you may be forced to make “corrective distributions,” returning some of your 401(k) savings back to you. That means less money saved for the future—and increased tax liabilities in the short term, as you need to pay income taxes on any money returned. One often overlooked tool for increasing retirement readiness among small business owners and other highly-paid employees is the Executive Deferred Compensation plan, or the “Nonqualified Deferred Compensation” (NQDC) plan. In a NQDC plan, employees enter into an agreement with their employer to defer some of their compensation to a later date, at which point the employer agrees to pay them that amount. As one example of how these are used, sometimes companies will set up what are called “top hat” NQDC plans just for highly paid executives to defer their bonuses in years when they already have a high tax bill. But NQDC plans can also act as supplements to a 401(k) plan. If small business owners set up top hat plans to defer any amount of their compensation—it might be a bonus, or a portion of salary, or some other incentive—they can defer paying taxes on that money now. In exchange, they’ll receive that money in retirement, when they will likely be in a lower tax bracket and have a lower annual tax liability. • Unfunded: In the most basic setup, the business puts forward no money from the start of the plan, which helps save in startup costs. Then, when the pre-determined time comes for the company to pay out the benefits to an employee, the money comes out of the firm’s operating cash flow at the time. • Mutual Funds: Alternately, you could elect to invest a pool of money in mutual funds (and other investment options depending on the specifics of your plan) with the expressed purpose of growing assets to fund the paying out of NQDC benefits in the future. As a small business owner, this could help you grow your deferred money between now and your retirement. Additionally, this could help you set up a larger fund to offer NQDC benefits to other key executives, which could help you attract and retain important leaders for your company. • Corporate Owned Life Insurance: Finally, some employers choose to use the deferred compensation they retain under a NQDC plan to pay premiums on corporate owned life insurance (COLI) policies covering the lives of key employees (like owners). In this setup, the company owns the policies, including the cash value and the death benefit. Companies can then use the benefits to recover any costs associated with the NQDC plan.3 Of course, the drawback here is that funds may not be immediately available to cover plan benefits when needed. In the right circumstances, a deferred compensation plan on top of a 401(k) can give small business owners the power to save as much as they’d like for retirement. Plus, there’s the added benefit that NQDCs offer owners as a tool to help attract and retain the leadership talent they need. But NQDCs aren’t the only tool at your disposal to help with either of these challenges. Review the many plan options you have to customize your small business 401(k) plan to meet your unique needs.